Theatre company puts callout for original works - KUAM.com-KUAM News: On Air. Online. On Demand. One local theatre company's vision is to create waves through the arts that break down barriers and affect positive change. It was at the beginning of this year when CJ Ochoco established Breaking Wave Theatre Company. 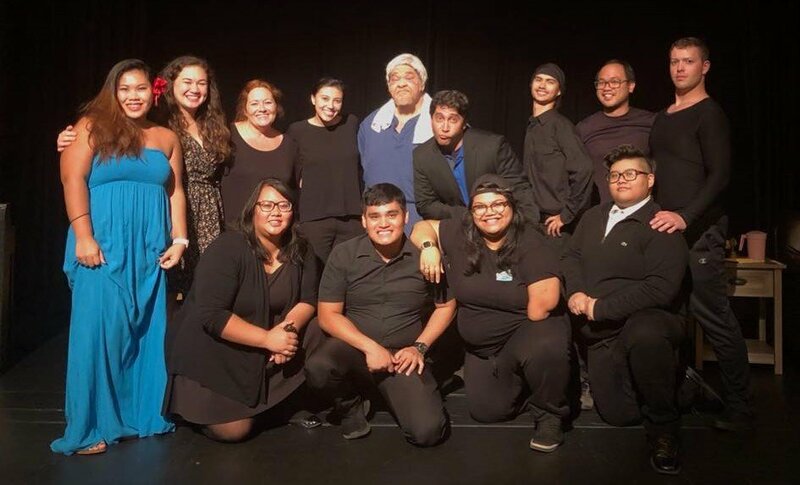 She says it was a dream come true creating the theater company, which came to be after a group of University of Guam Theater program alumni needed something to do. "There's always other theater, there's UOG theater, helping with high school productions, but we need something else...we need that next step to help us grow," she explained. Ochoco decided to create that next step with Breaking Wave Theatre Company. She serves as president and co-founder. Its mission is three-fold - the first is to nurture creativity, to provide a space for self-expression, and to promote lifelong learning through theatrical pursuits. Their first production was Mitch Albom's "Tuesdays with Morrie," which was well received. "It was our first time to produce our own show from the ground up, so we did that in April and it was a really good learning experience for us and we had a lot of fun," she recalled. Throughout the past few months, Breaking Wave has been holding a series of workshops and seminar to promote creativity. "That's a real big cornerstone of Breaking Wave Theatre Company," she said. "We want to provide opportunities for those who may not necessarily be in school or even those who are in school to get extra learning through different workshops. So we've done improv workshops, costuming workshops, and fun stuff like that." The company is making a call out for original works for an upcoming production that is set for early next year. "We're gonna be doing a two-act show and so the second act is already a pre-made play and we're gonna announce that soon but the first act is actually going to be a collection of local works," she said. "We are calling for original work that fits within certain themes and these themes are: drug abuse, addiction, peer pressure, unrequited love and the things we do for love. And with these themes, we are asking for people to submit five to 10 pieces." And it's not just limited to plays. It can be short films, spoken word, original songs, dance numbers that are all inspired by the themes. If you would like to know more, you can visit their Facebook page at Breaking Waves Theatre Company or follow on Instagram @bwtcguam. To help you out, on Dec. 8 and 9, they will be holding Creative Development Sessions in preparation for the call out at the University of Guam English and Communication Building Room 211 from 1 to 4 p.m.